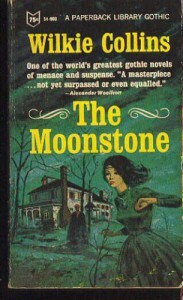 Because I read somewhere that The Moonstone was the first detective mystery novel, and because I’ve read very few mysteries not written in the last 50 years or so, I expected a different sort of book. I was looking for an early Poirot or Sherlock Holmes, and instead found it more like a romance with a mystery to drive its plot. It certainly had a super detective from London, offset by a bungling local investigator. 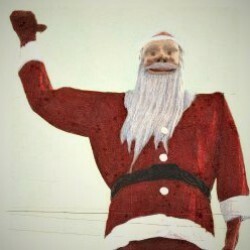 The mystery was fun to unravel, even though it wasn’t terribly hard to guess around all the red herrings. The romance was not too implausible, although I feel a little squeamish about the whole first-cousins thing. The scandals were fun, the goofily pompous servant was fun, and the heroine was satisfyingly spirited and self-willed and intelligent. But Miss Clack absolutely stole the show. I’d have read this book only for her sections. I want some Miss Clack fanfiction, STAT. Audiobook, the Naxos audiobooks edition, with the full cast. The performances were all very good, but Fenella Woolgar as Miss Clack was amazing. 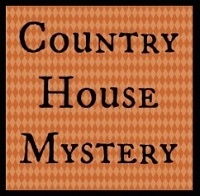 I read this for the 2018 Halloween Bingo square Country House Mystery: a closed circle murder set during a gathering like a house party. This book is primarily set at a wealthy family’s English country estate, where the Moonstone in question disappears the night of a small party.